By Kenya D. Banks, human resource compliance manager, Cornucopia, Inc.
A blend of retail and rehabilitation is a recipe for creating a social enterprise—a social service organization that operates a revenue-generating business that serves to fund the organization’s mission. Social enterprise has become a buzz phrase in the past few years, although Cornucopia, Inc., has been using the model for decades. Cornucopia is a nonprofit, CARF-accredited organization that provides job training, seeking, and placement services to persons with disabilities. The organization owns and operates Nature’s Bin, a natural and organic foods market, as its primary vocational training facility. Compared to many nonprofit organizations, Cornucopia receives a high level of earned income. Last year, 77 percent of the organization’s revenue was derived from its retail store operations. Another 18 percent came from contracted services (vocational rehabilitation). Grants and donations represented a small, but important, 5 percent of the organization’s revenue. With 37 years of service in the community, Cornucopia’s programs deliver quality services to consumers, and its retail store provides fresh, local, natural, and organic products that are popular in the community. Cornucopia is committed to striving for excellence in both its Nature’s Bin business and services for persons with disabilities, but it never loses sight of its reason for existence. Staff members do not allow the success of the retail operation to overshadow Cornucopia’s mission to help people with disabilities develop their skills, confidence, and workplace potential. Look at what your organization already does, and try to craft a business venture that complements your mission. Consider the kind of business that best suits your organization—a retail, service, or manufacturing business; a fee-based consulting service; community development and financing; food service/catering; or an art or technology enterprise. If your new business venture is to become successful enough to support your mission, your business and your mission need to be synergistic. Take a careful inventory of your human and other assets: What resources are already available to you? What are the strengths of your staff members? After you determine your business model, hire experts in the field. Don’t expect your current staff members to automatically know how to run a business. Running a business requires a markedly different skill set from providing health and human services. But if you have someone on staff already with the kind of experience you need, be sure to leverage your human resources! Once the staffing is in place, remember to invest in continuing education for staff members on both the mission and business sides. Don’t be afraid to ask for philanthropic dollars to start a new business. Donors will appreciate that you want seed money to support more of your own costs. 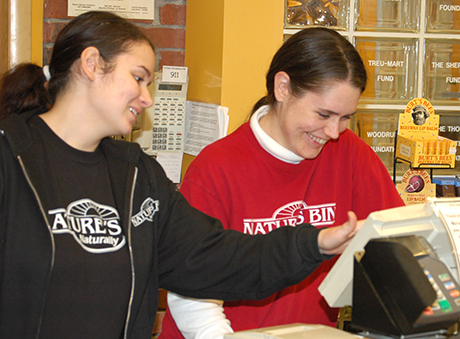 When the retail business at Nature’s Bin began to grow, Cornucopia staff members became concerned that the retail revenue would drive away potential donors, but they were pleasantly surprised to find that philanthropic foundations and governmental agencies appreciated and rewarded the organization’s ability to generate revenue. After the business is up and running, pay attention to the traditional concerns of whatever industry you enter. Customer service and satisfaction, price and convenience, staff satisfaction and retention, and community image are important. To be a successful social enterprise, the business venture must be successful in its own right. Be careful not to tackle more than you can do. When your business begins to flourish, it can be tempting to expand, but don’t spread your resources too thin or the entire venture could collapse. Keep your organization’s mission and your business venture tightly knit from the beginning. You can actually use your business as a platform to raise awareness for your mission. The nature of a social enterprise can sometimes feel like a tug of war between the business and the mission, and it’s easy to neglect one or the other. Keep the two balanced, and you will have a much better chance of success. Founded in 1975, Cornucopia, Inc., www.cornucopia-inc.org, is a nonprofit organization that provides community-based employment training for people with disabilities through its own natural foods market known as Nature’s Bin, www.naturesbin.com, in Lakewood, Ohio, and at community-based training sites in the greater Cleveland area, including Eliza Jennings Home on the city’s west side; Jennings Center for Older Adults in Garfield Heights; T.J.Maxx in Woodmere; and Darice® wholesale crafts in Strongsville. Cornucopia programs are distinguished by their real-work learning environment. Trainees work side by side with staff members in most aspects of department operations, and they face the challenges and rewards of competitive employment in a caring and supportive atmosphere. Cornucopia serves people with a wide range of disabilities, including developmental disabilities; autism; mental illness; vision, speech, and hearing impairments; and injuries resulting from accident or illness. Through Cornucopia Employment Services, the organization provides job placement and job coaching services for people with disabilities. Cornucopia has achieved a Three-Year Accreditation from CARF for its employee development services and community employment services. 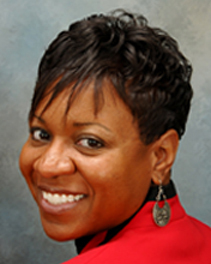 Kenya D. Banks brings more than fifteen years of experience in the human resources arena in various industries, including telecommunications, manufacturing, and healthcare. Having started the human resources function at Cornucopia in 2010, Kenya is responsible for employee relations, recruitment, and training and development. She also monitors the organization’s ongoing conformance to the CARF standards. Kenya majored in business management in college and earned a Human Resource Management Certificate. She has been a member of the Society for Human Resource Management since 2008.